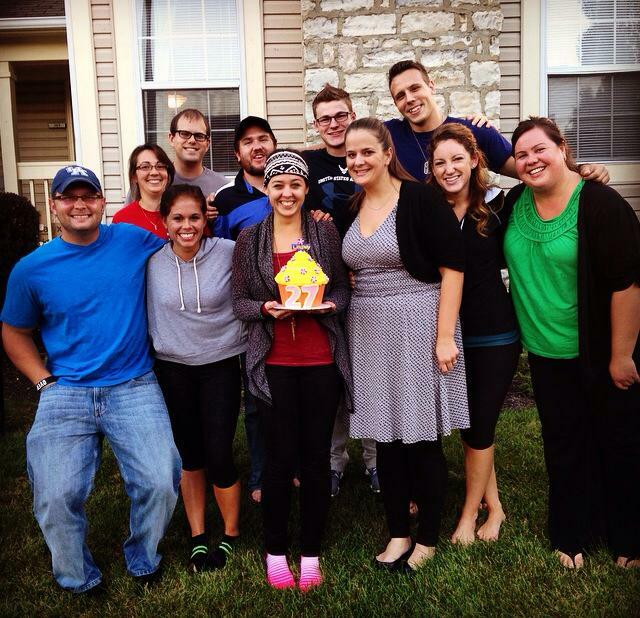 Small group on my 27th birthday….they surprised me with a cake! Having people guess my age 8 years younger than I am is not starting to be SO bad. I know who I am so much more than I used to. I know God so much more than I used to….I never could have imagined what it would be like to know Him like this. I’ve been reading the Bible consistently and on my own for 15 years……whooooooooooaaaa….that’s nuts!! I have waaaay more fashion sense than I used to. I am so blessed with many friends….so many I can’t keep up with them all and it makes me sad. I still wish there were 30 hours in a day. I sing, I dance, I create. I now TEACH fifth grade. traveled to several different countries. My mind is expanding to think about deeper and deeper things. The more I know the more I realize how much more there is to know. I mourn past years I can never go back to. My heart continues to capture childlike thoughts. I still love to play outside. hoping for a beautiful tomorrow. I have a feeling about 27….I think it’s gonna be good.